We are the South of England Group of the Friends of the National Railway Museum (NRM). 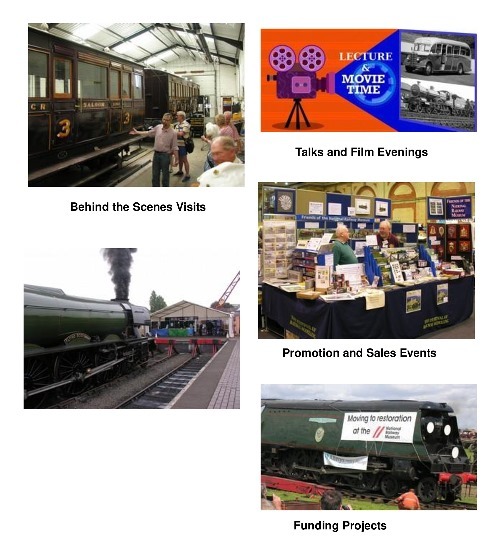 We regularly attend railway and transport events in the South and Midlands with our information and sales stand and run sales activities associated with main-line charter operations – especially those involving Flying Scotsman – selling a range of NRM-related material. Please explore this website to discover more about our activities and how you can get involved. The South of England Group of the Friends of the National Railway Museum is governed by a Committee of Officers and Members who are listed below. In addition to the Committee, at the head of the Group we have two joint Vice-Presidents, both well-connected and well-respected figures able to advocate for our activities within the railway and railway heritage spheres. Officers and Members of the Committee are elected at the Group's Annual General Meeting, now held in March each year, and they serve for three-year terms. These are the current Officers and Members. James is a multi-skilled professional Broadcast TV Engineer, Producer and Director, having held significant posts within the TV industry, working with all major Broadcasters in a Live News environment. 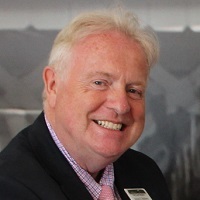 An author and historian, he’s working on newly commissioned titles and produces material for the National Railway Museum, monthly periodicals, major high-street retail outlets, industrial companies, heritage railways and is a regular broadcaster on TV and radio, particularly concerning Flying Scotsman. James is a technical / historical advisor and Ambassador for The British Postal Museum and Mail-Rail Museum at Mount Pleasant, London - currently producing a book about this railway's history. A consultant to the Indo-China Rail Company, James advised with the restoration of Tu Luc 2-8-2 steam locomotives for use on a meter-gauge railway in Vietnam between Hue and Da Nang as a tourist attraction and for the railways reopening. James is actively involved in repatriating former British-built steam locomotives and rolling stock from around the world for inclusion in the Military Railway and British Overseas Heritage Railway Museum currently being established. He is an active participant of the All Party Parliamentary Group meetings on rail and heritage railways, which are held at the Houses of Parliament. James is the President of The Clan Project which is constructing a lost class of steam engine, Chairman of The Barnsley Trust, and is involved with many other heritage railway groups.